Korea Town, Angels Flight, the Mexican historic zone and a resurgent Financial District, full of bars and restaurants, are just some of the alternative attractions of LA… you just need to buy a ticket for the subway, says Vince Robbins. Whether you’re travelling to Tokyo, Mount Everest, or the moon, there’s seldom a better way to experience a new place than on your own two feet. The slow pace and physical connection to the ground are crucial to productive exploration. Unfortunately Los Angeles is hardly small enough for even the most ambitious of power-walkers; at over 1,200 square kilometers, you’re simply not going to cover the city in an afternoon stroll. Los Angeles has so much to do and see, but because of its vastness much of it is often missed by the droves of tourists that pass through each year. If you can’t afford a rental car, hate being crammed in pre-packaged tour buses, or simply don’t know where to go in this town, then there’s a good chance you’ll leave LA largely unimpressed, having seen little but the underwhelming Walk-of-Fame and quick look at the Pacific Ocean. Until now that is! 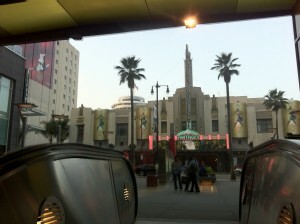 Introducing the Urban Travel Blog Extraordinary Los Angeles Subway Tour of a Lifetime. 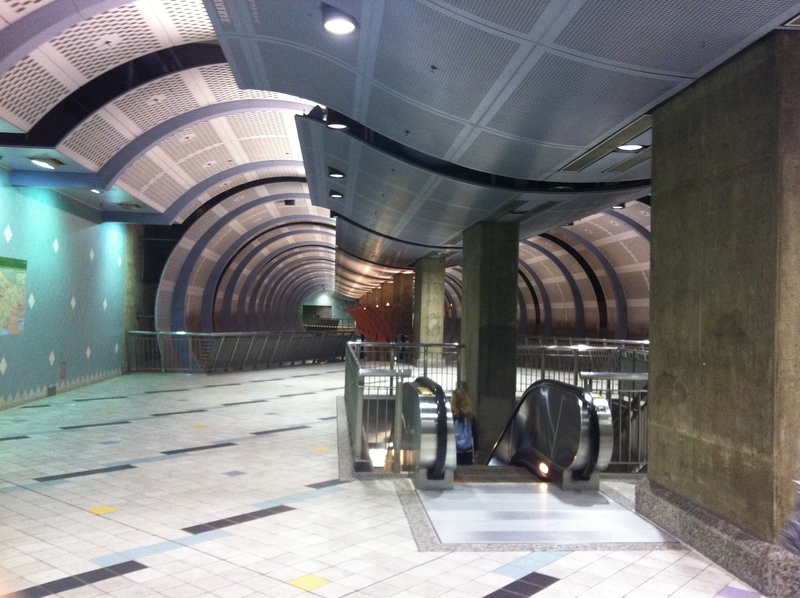 Buckle your… wait, there aren’t seat belts in the train… Well, buy your train ticket ($5 day pass)… and get ready for some exploration on LA’s vastly under-appreciated underground train system. The adventure starts in the tourist hub of the city—the intersection of Hollywood Blvd & Highland Ave—and ends in the heart of Historic Downtown Los Angeles. Sorry, but you’re going to have to hit the designer stores in Beverly Hills on your own time. You shouldn’t have trouble finding your way to Hollywood & Highland, and while you’re there you should spend a few minutes checking out the Walk-of-Fame (tick box! ), Grauman’s Chinese Theater, Kodak Theater (home of the Academy Awards), El Capitan Theater, and the bizarre army of panhandlers dressed as movie characters. 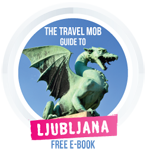 Millions of tourists flock here for a reason — it’s cool to see. It’s a fascinating part of Los Angeles with a rich history, but as an informed traveller, there’s much more on your list, so head on down underground into the Hollywood & Highland Metro station and catch the next train headed in the direction of “Union Station.” For a little more glitz and glamour, get off at the Hollywood & Vine station. Decorated with empty film cans and old-school 1930s film projectors from Paramount Pictures, the station lets off just a mile further down Hollywood Blvd in proximity to the Pantages Theater, Dillon’s Irish pub ($3 beers on tap! ), and the iconic cylindrical Capitol Records building where legends such as Nat King Cole and Frank Sinatra used to record during the old Hollywood days. Once you’ve had your fill of historic Hollywood, head back down to catch the train to the Vermont & Wilshire station. 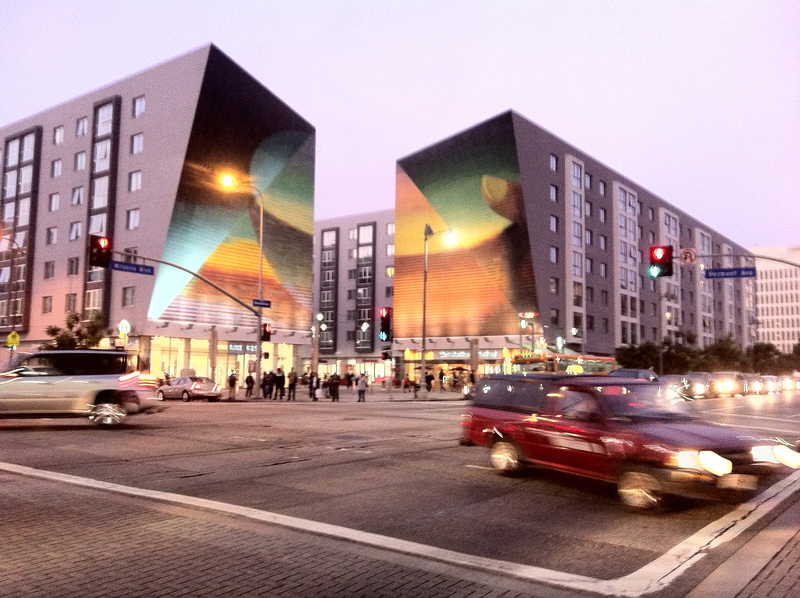 Here, at one of LA’s busiest intersections, two giant, beautiful murals welcome you to the heart of Korea Town. From this point you can head west on Wilshire Boulevard, one of Los Angeles’ main arteries, which goes from the beach to downtown. Some interesting architecture dots this section of Wilshire; The Talmadge Wilshire, Immanuel Presbyterian School, and finally the former site of the Ambassador Hotel, the infamous site of Robert F. Kennedy’s assassination. A gargantuan, albeit nice-looking, high school now stands in it’s place, accompanied by a nice little park dedicated to RFK. It’s a cool place that I’d wager the majority of Angelenos don’t even know is there. This stretch of Wilshire isn’t the most flashy or exciting place in the city, but it will give the real traveller a genuine feel for the pulse of the city. If you’re in the area at night, you should stop by The Brass Monkey, where you can rock out at one of the craziest Karaoke bars I’ve experienced (No, you are NEVER too old to sing Backstreet Boys!). Explore away and then head back to Wilshire & Vermont – if at this point you’re hungry (and not vegeterian), head North on Vermont for some insanely good Korean BBQ spots (Myeondong Donkasu and Soo Won Galbi are personal favourites). This area is authentically Korean-American and there’s lots of good food, markets, and shops to check out. It’s a place that is representative of the amazing multicultural nature of Los Angeles. With over half of it’s residents being Latino, and about a quarter of them Korean, K-Town has effectively created an unprecedented cultural community, to the extent that Koreans are learning Spanish and vice versa. Somebody find me a Korean Taco Truck somewhere else in the world… Any takers? No? Los Angeles, ladies and gentlemen…Have at it. When you’re ready to move on to some downtown exploration, get back on the Red Line (not the Purple Line) and ride along until 7th/Metro Station. This will let you off right in the thick of Downtown Los Angeles’ skyscrapers. (Quick note: If you’re feeling up for walking 2 miles, there’s no need to get back on the subway until your return trip. Otherwise there are other subway stops along the way, which I’ll note). Exit the station onto Flower street and head east on 7th from the station exit. You’re in the middle of the Financial District, a relatively recently revived area of Downtown LA; I’ve heard that in the 1980s, “if you weren’t a lawyer or a stock-broker, you probably weren’t ever downtown.” Nowadays, it’s coming back, with lots of bars, restaurants, and residential lofts. If you didn’t stop at Korean BBQ, now might be the time to stop into Bottega Louie (French) or Mas Malo (Mexican), which are both on 7th Street near Grand Ave. (For some quick, cheap food, try Qdoba, a solid Mexican right by the 7th/Metro station). If you’re a whiskey drinker, you have to stop in 7-Grand for a drink (right above Mas Malo). Offering over 300 types of whiskey, It has a classic Downtown LA feel and they serve up phenomenal drinks. (Editor’s note: Scotch lovers should check out our guide to whiskey tasting in Edinburgh!). Once you’re plenty full and liquored up, head north on Olive Street from 7th Street which will take you into Pershing Square (Metro stop), a nice outdoor area that sometimes hosts concerts and shows, especially in the summer time. Cross Pershing Square at a diagonal towards the north-east and set out up Hill Street. In just a block and a half you’ll see Grand Central Market on your right and Angels Flight funicular railway on your left. Grand Central Market isn’t exactly a marquee attraction, but if you’re still hungry (you can’t possibly still be!) you can get some fresh fruit, vegetables, and various cuisines in the market. Angels Flight, across the street, is a landmark rail-car that was originally built in 1901 to shuttle folks up Bunker Hill. It’s pretty neat to look at, cheap to get on (25 cents), and somewhat anti-climactic to ride. But, hey! It’s history, right? From here, you can go slightly north-west to the Museum of Contemporary Art or the beautiful Walt Disney Concert Hall, if either of these locales particularly interests you. 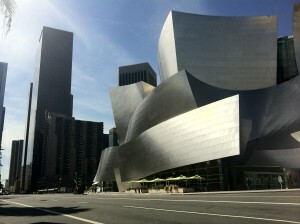 The Frank Gehrydesigned Disney Concert Hall is a wild-looking metal sculpture of a building that is definitely worth checking out. After, or otherwise, you will want to head slightly north-east, where, at 1st and Spring, you’ll find Los Angeles City Hall and a little park area accompanying it. Built in 1928, this statuesque building is the center of LA’s government, housing the mayors offices and the city council meeting chambers. The lawns surrounding the building were the home of Occupy LA, the local branch of the Occupy Wall Street movement that swept the US in 2011. Until it was cleared out by LAPD in November of 2011, there was a vibrant mini-village composed of hundreds of protesters from the Southern California area. Continue across to the east side of the building and continue north on Main Street which will take you to LA Plaza Park, an open square adjacent to both the famous Olvera Street and Los Angeles Union Station. Olvera Street, or La Placita Olvera, marks Downtown LA’s oldest district, part of El Pueblo de Los Angeles Historic Monument. Nowadays it serves as a slightly hokey, yet quaintly authentic little alley brimming with vendors of Mexican toys, gifts, and food (fantastic churros). Sometimes they have Mexican music and dancing in the Plaza, as well as festivals during certain holidays (check the website for more information). 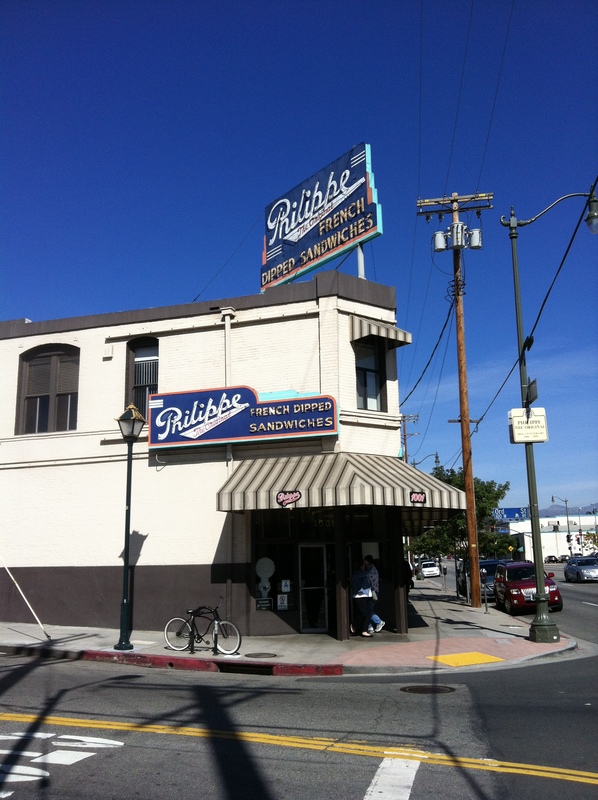 If you’re still hungry, you might want to seek medical attention, or walk one more block north of Olvera Street and try Philippe’s, a world-famous LA sandwich spot, home of the French Dip (they claim to have invented it) since 1908. 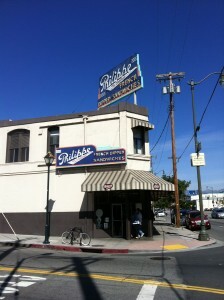 Union Station is just across the street, a little to the south of Philippe’s. This historic Los Angeles landmark is a beautiful reminder of Downtown’s architectural glory days; both inside and out, Union Station is simply a handsome piece of work. Oh, it was also the setting of the future police station in Blade Runner. Yeah, no big deal. Before you head back to the train, take a while to look around the main hall and the enclosed outdoor patios. Your excursion through Los Angeles has landed you at one of her finest structural landmarks, a piece of history that gives you a feel for the unique style and history of Los Angeles. At this point you’re free to go; head back on the Red Line towards North Hollywood and return from whence you come, you vagabond traveller. But, on your ride home, reflect on the side of Los Angeles that you’ve experienced. You’ve seen a side that most tourists won’t; you’ve joined the masses of Angelinos that go about their every day lives here, moving throughout the city underground, commuting to and from the San Fernando Valley, Hollywood, West LA, Downtown, Pasadena and Long Beach. How many celebrities did you see next to you on the train? Probably none. There’s much more to Los Angeles than the stars on the sidewalk. I am going to Los Angeles in September for 4 days and I will not be able to rent a car unfortunately. I think I am going to stay in Korea town and planning to visit Santa Monica/ Venice Beach, Silver Lake area, Long Beach and Santa Ana. do you think this is doable by metro, bus and Uber? After 4 days in LA I am planning to go to Palm Desert by train and then san Diego, all by train. How do you see it? That’s great that you’re coming to LA! 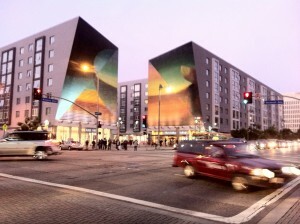 Korea Town is a great area; it’s very central and it’s been on the up-and-up lately. You can absolutely navigate LA without a car. Uber/Lyft are great options, as there are always tons of drivers on the road they often pretty cheap (especially if you use the cheaper Uber Pool or Lyft Line within the respective apps). The bus and the metro are good too, depending on your route. From Korea Town you can easily take the Metro Red Line north to Hollywood or south to Downtown. You can also catch a Rapid bus down Wilshire to get to Santa Monica beach. I often use the Google Maps app on “public transportation” mode to determine the best public transportation option. You’ll just need to get a TAP card at a Metro station and load a bit of money onto it, it’s easy. I don’t know much about the train to Palm Springs. I know there are trains from Union Station in LA to San Diego, but I’ve never done it. I’m sure you can find out pretty easily online though. Born and raised in California, Vince is a screenwriter with a love of both foreign travel, and his home town of Los Angeles. Vince is our eye on the West Coast and the first ever Urban Travel Blogger to go "On The Road". Read his full profile here.